The majesty of the J Class era will return to the America’s Cup eighty years after the class last raced for the oldest trophy in international sport. The J Class Association and the America’s Cup Event Authority have agreed to stage a J Class regatta in Bermuda in June 2017 between the conclusion of the America’s Cup Challenger Playoffs and the America’s Cup Match. The J Class boats will be moored in the America’s Cup Village in Dockyard at Bermuda, providing as elegant a sight at rest as their beauty and power are impressive under sail. Racing in the J Class regatta will be organised by the America’s Cup race management team with the final two days of racing expected to straddle the opening weekend of the America’s Cup Match. 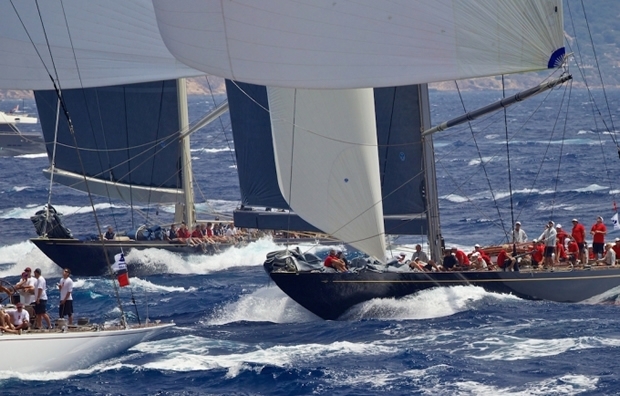 The current J Class fleet comprises seven boats, including three original Js, two of which raced for the America’s Cup. The seven J Class boats currently sailing are: Endeavour, Hanuman, Lionheart, Rainbow, Ranger, Shamrock V, Velsheda. An eighth J Class yacht is expected to be launched in May 2015.